Complicated? is a new report published by the Equality Network based on hundreds of bi people’s experiences of biphobia in accessing services – both public services like health and policing, and LGBT services like helplines and community centres. 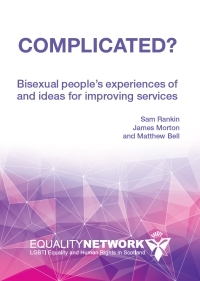 Building on The Bisexuality Report and with recommendations for service providers it’s an eye-opener. Read it here.